Echocardiography is the use of ultrasound to image the heart and great vessels. This general term includes the techniques of M-mode, two-dimensional (2D) imaging, pulsed wave, and color Doppler studies. Frequently, an examination of the heart will apply a combination of these ultrasound methods to the clinical problem at hand. Echocardiography, after the chest x-ray, represents one of the most commonly applied methods for cardiac diagnosis. Applications of this method include assessment of cardiac chamber size and function, patterns of flow within the ventricles, pericardial assessment, and identification of cardiac masses, including tumors, valve vegetations or calcification, and thrombi (Fig.57-9). Advantages for this technique include its relatively low cost, portability of the ultrasound equipment, good patient comfort, and safety. 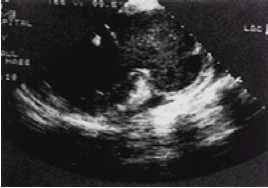 Although the use of echocardiography is extremely widespread, there are limitations to the technique. The method is highly operator dependent. 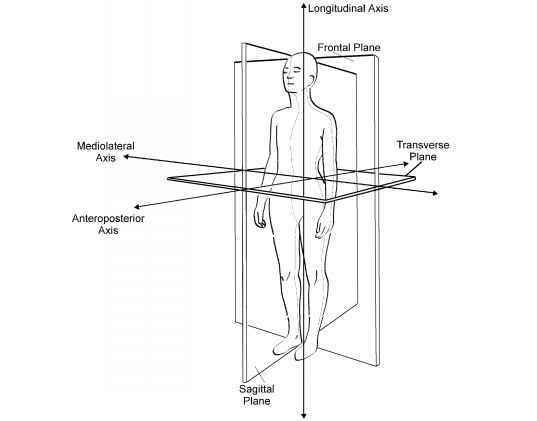 Patient positioning relative to the ultrasound probe is crucial, and specific machine adjustments must be made to optimize the examination to a particular patient. These adjustments may substantially alter the diagnostic ability of the examination. Certain patients have poor "acoustic windows," through which the ultrasound beam "looks" to see the cardiac structures. This limits examination quality in patients with chronic obstructive lung disease, obesity, and some musculoskeletal deformities. The use of transesophageal echocardiography, in part, alleviates the limitations of the technique for these patient populations.